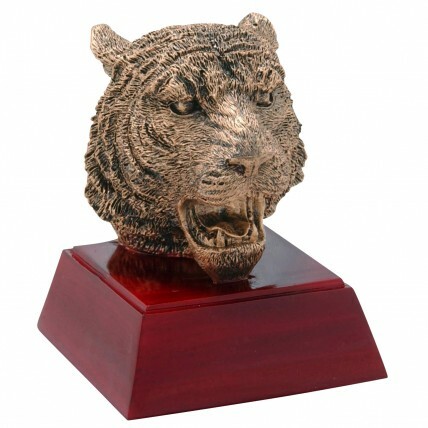 Acknowledge your special tiger with a tiger resin trophy! They feature a growling gold tiger head on a beautiful rosewood colored base. Gold lettering on a black brass plate make the Gold Resin Tiger Trophies unforgettable to your favorite tiger.